Most websites are made up of multiple pages, even when less content might be more effective. This might not seem like much of a problem, but spreading your content too thin can make it difficult for visitors to find what they want, or even dissuade them from looking altogether. In some cases, all it takes is one page to share all the information you need. For that reason, one-page designs are becoming more and more common among websites. 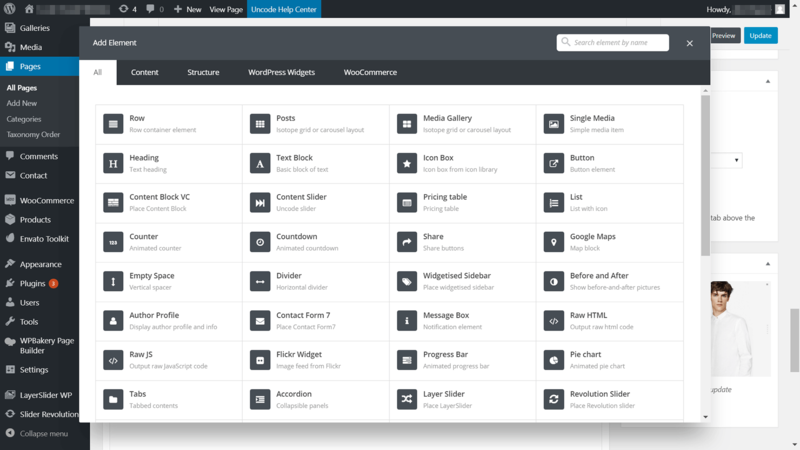 Moreover, if you’re using the right theme, packing all the features you need into a single page shouldn’t be an issue. For this piece, we’re going to talk about when it makes sense to use a one-page design, and discuss some Uncode features that can help. Finally, we’ll teach you how to create a one-page website in just four steps. Let’s get to work! The concept of a one-page website is simple – you take all the content that you would have otherwise spread out, and condense it into a single location. This can result in long pages, but nowadays people aren’t afraid of doing some scrolling to find what they want. Landing pages. The goal of landing page sites is to convert you as quickly as possible, so it makes sense to keep things compact. Portfolio pages. Depending on how much work you have to show, a single page is often enough to get the job done. Brochure business websites. These days, most businesses require an online presence, but not all of them need a multi-page affair. Imagine, for example, that you need to create a website for a dry-cleaning store. You could easily include all the information you need about your services on a single page, including images, contact information, and more. On the other hand, a realty company would probably need multiple pages to show off individual properties. 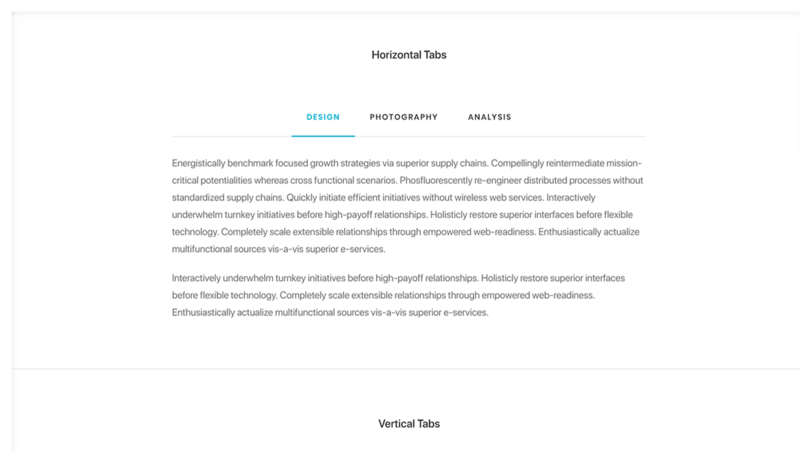 As always, no single design trend will work for every website. So it’s up to you to use your common sense to figure out if this one is a good fit for your project. If it is, then you’ll need the right theme to help you out. 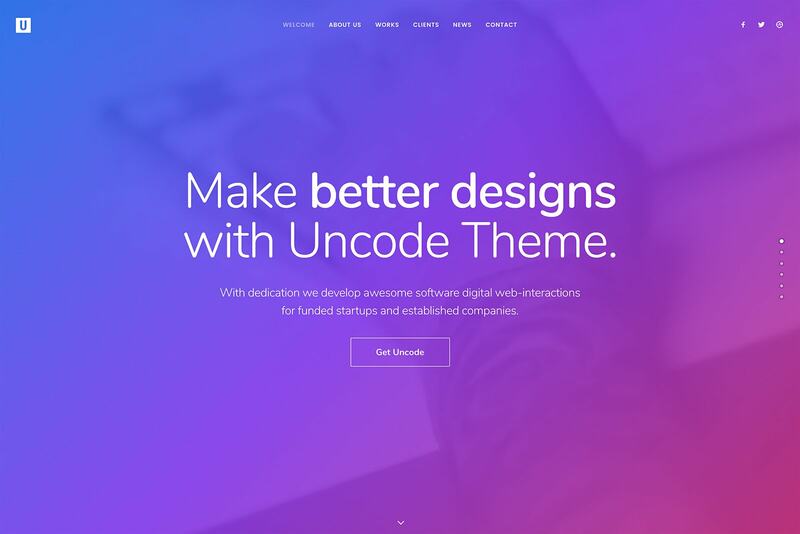 Our Uncode theme offers so many features that it would take a small book to cover all of them. Here, we’ll focus on introducing you to the options that are best suited for one-page designs, and discussing how each one can benefit your site. Likewise, the Simple Scroll functionality enables you to turn on ‘dot navigation’. With this feature, visitors can skip between sections of your page by clicking on a few labeled dots at the side of the page. Finally, the Snap Scrolling option adds a simple transitional effect when you move between sections, which makes the user’s experience smoother. All these effects are simple to implement. 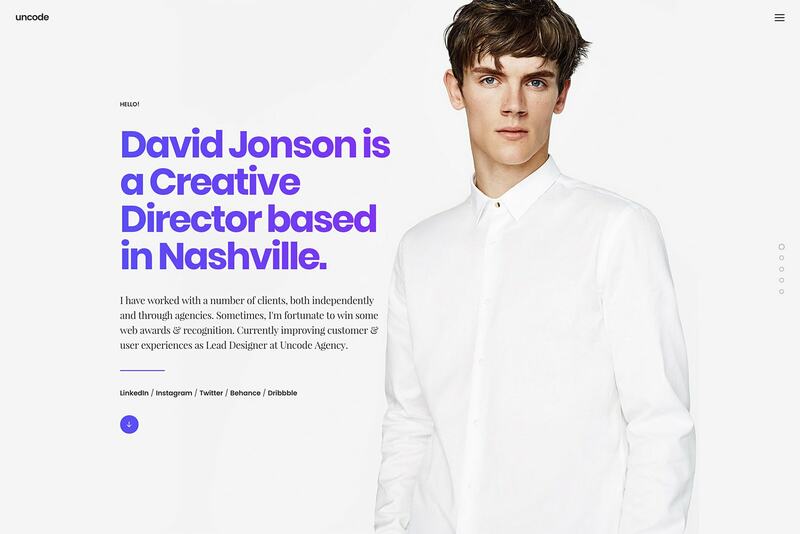 Plus, they make your one-page design feel like a more cohesive experience, instead of a bunch of sections strung together with little thought. 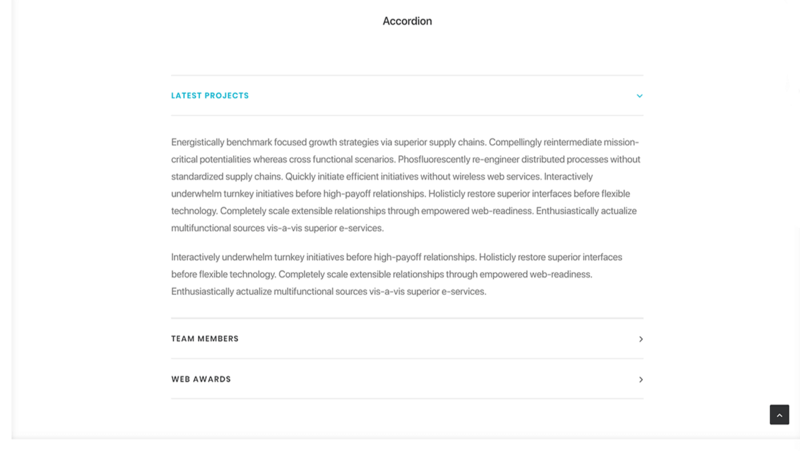 A perfect example of where to use tabs or accordions would be in a Frequently Asked Questions (FAQ) section, or to organize a list of service offerings. On a one-page website in particular, saving space this way can be hugely beneficial. When it comes to one-page designs, contact forms are particularly important. They can help you capture leads, and let visitors easily ask for information your site doesn’t include. With that in mind, it makes sense to use the best possible tool to manage yours. By using Contact Form 7 alongside Uncode, you can manage multiple forms, customize them, and even add advanced features such as CAPTCHAs. Now, let’s talk about how to actually build your one-page site. You’ll first want to install and activate Uncode. After that, go ahead and proceed to the first step. 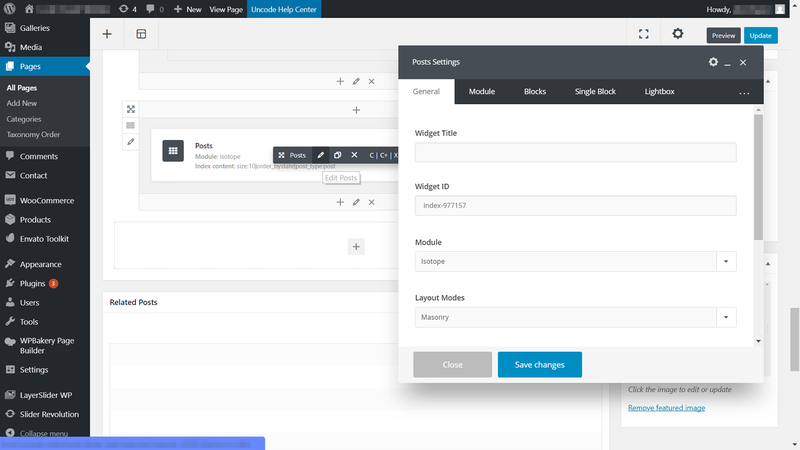 One of the ways Uncode enables you to build any type of website is by integrating with several popular plugins, such as Contact Form 7, Layer Slider, Revolution Slider, WooCommerce, and more. It’s a smart idea to activate all of Uncode’s integrations if you want to make the most out of the theme. Uncode Core. This one is necessary for Uncode to work in the first place, so it should be the first plugin you install. Uncode Visual Composer. You’ll need to install this plugin if you want to have access to Uncode’s page-building functionality. Contact Form 7. As we mentioned earlier, contact forms are one of the best ways for one-page websites to attract leads. Layer Slider or Revolution Sliders. Everyone appreciates a good slider these days, and either of these plugins will enable you to create an outstanding one. WooCommerce. If you want to use your one-page website to sell products, you’ll need a solid e-commerce solution. Installing any of these plugins is simple. Click on the Install button below their names, and then choose the Activate option afterward. When you’re done, you’re ready to move on. 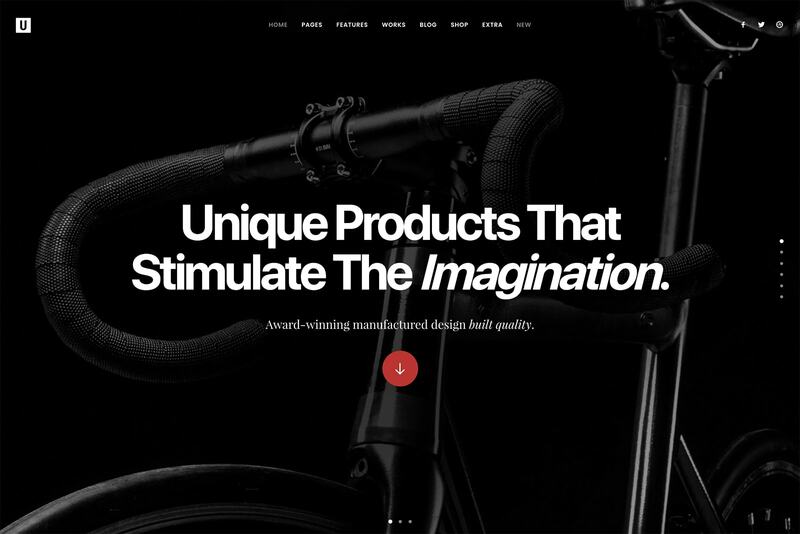 This particular demo showcases how you can create an awesome portfolio on a single page. 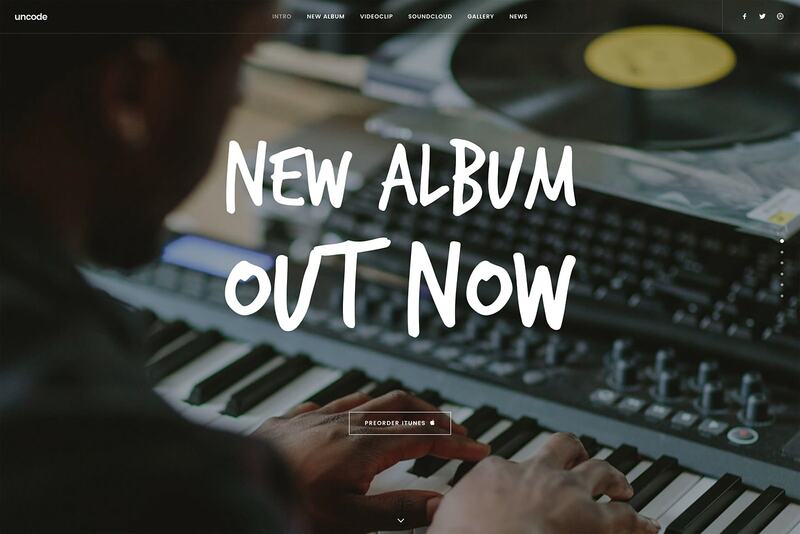 It includes all the information you’d need to share as an up-and-coming artist, including embedded videos and soundtracks, a photo gallery, and links to social media. 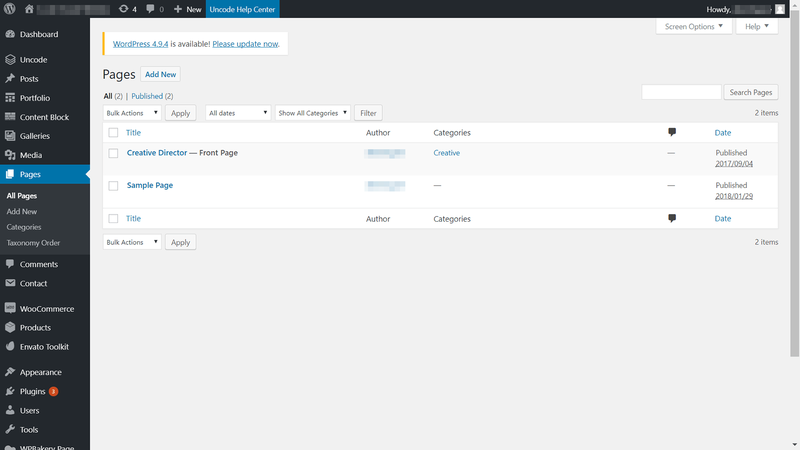 After that, the next step will be to tell WordPress to treat this page as your home page. 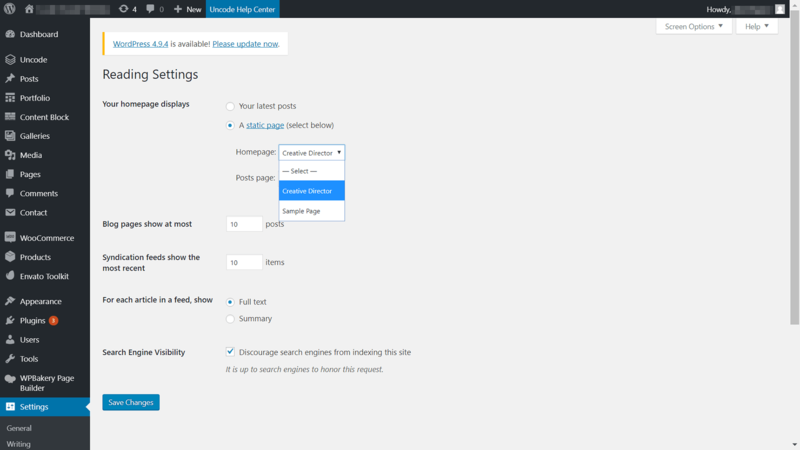 By default, WordPress shows a list of your most recent posts on your site’s home page. 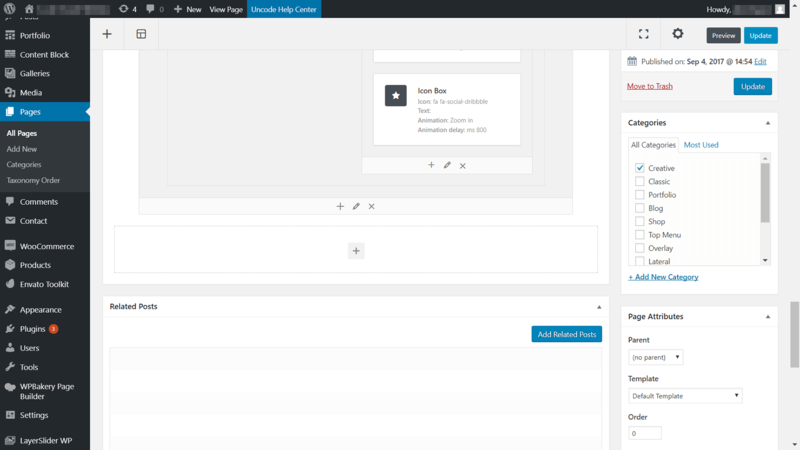 However, you can configure the platform so that it points new visitors to any static page you want instead. Now that your imported demo page is up and running, let’s go ahead and do just that. Now, all that’s left to do is to customize your home page. 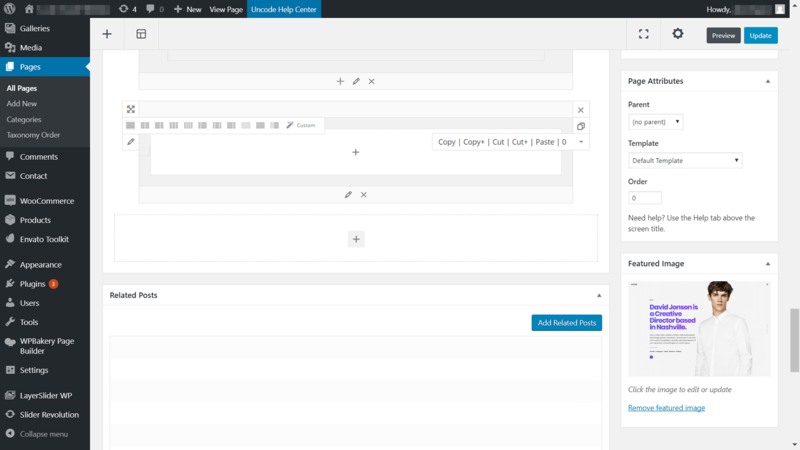 Making it your own is simple, using Uncode’s page builder. The customization possibilities are nearly endless, since there are dozens of modules available (each with their own settings). 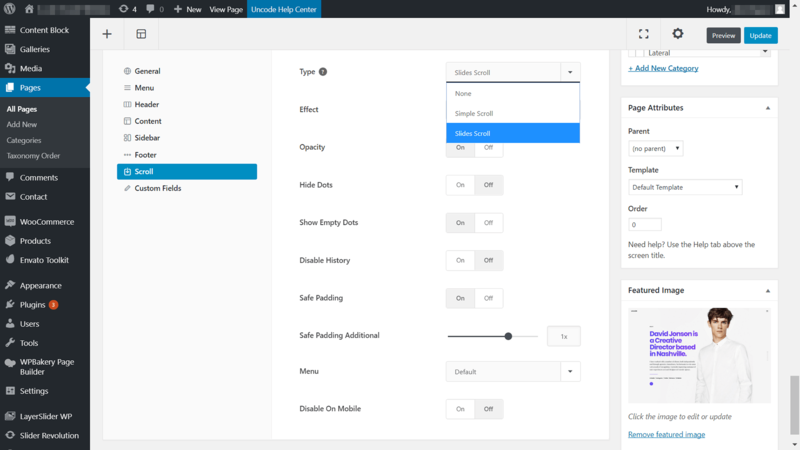 The demo layout you chose should save you some work, by providing you with a solid structure that you can easily customize. However, you can always import another layout to try, if you’re not happy with your first pick. We also offer lots of useful documentation you can turn to if you ever have a question about one of Uncode’s features. 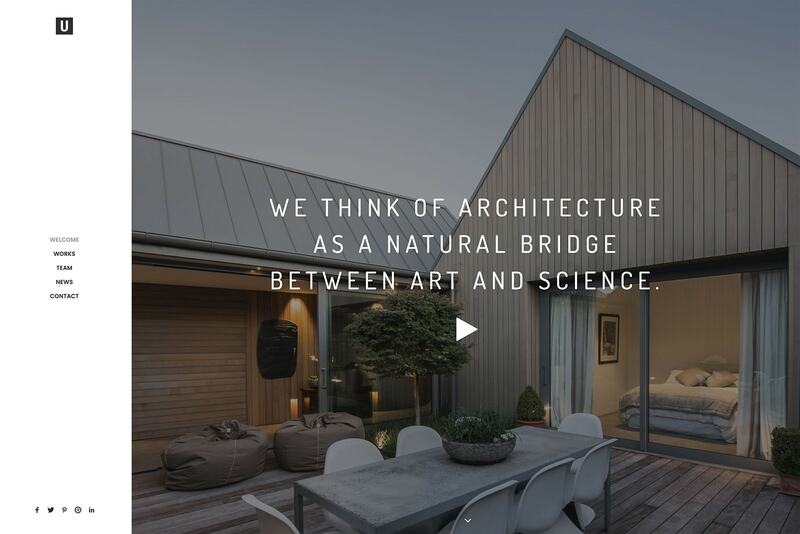 One-page websites are perfect for a lot of projects. Landing pages are a classic example, but it’s even possible to pack entire portfolios or business websites onto a single screen. 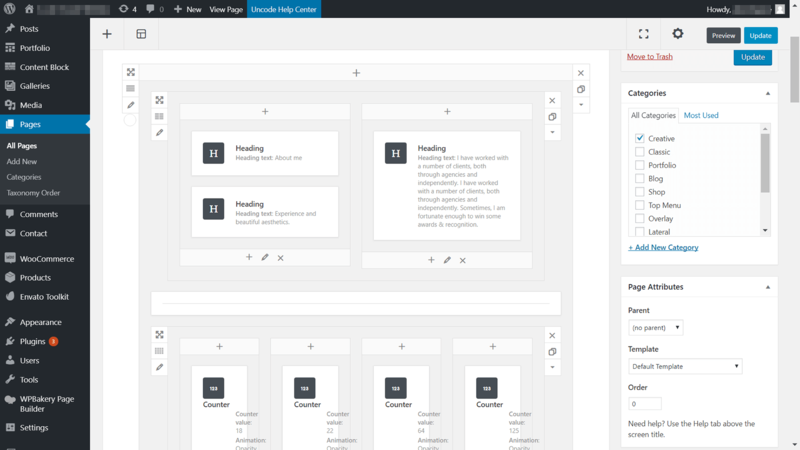 If you can fit all the information you want to share on one page, all you need is the right theme to make it happen. That’s where Uncode comes into the picture. Set up all of Uncode’s recommended plugins, so you have access to the features you need. Import one of Uncode’s one-page design demos. 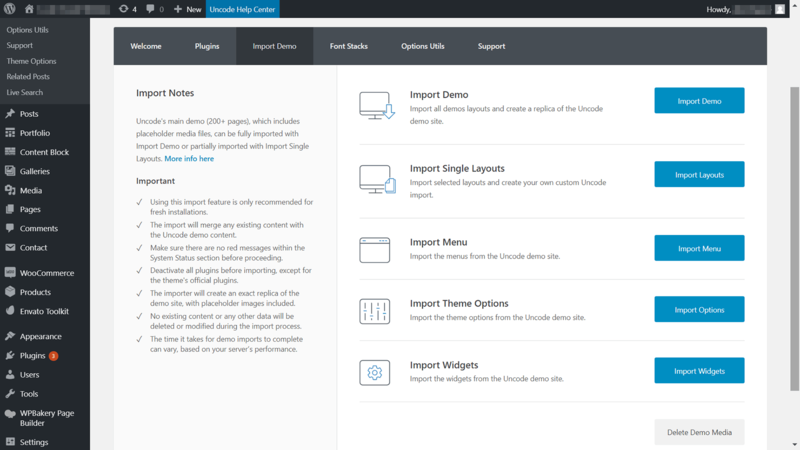 Set your imported demo as your home page. 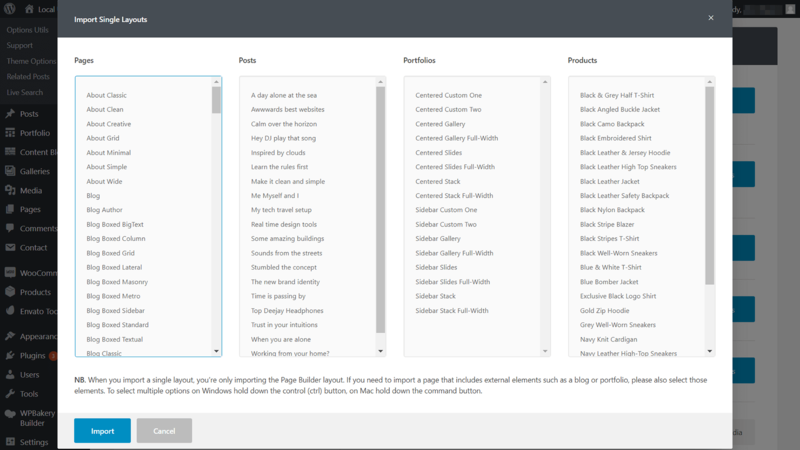 Customize the imported demo page. Do you need any help deciding if a one-page design is right for your next project? Let’s talk about it in the comments section below!